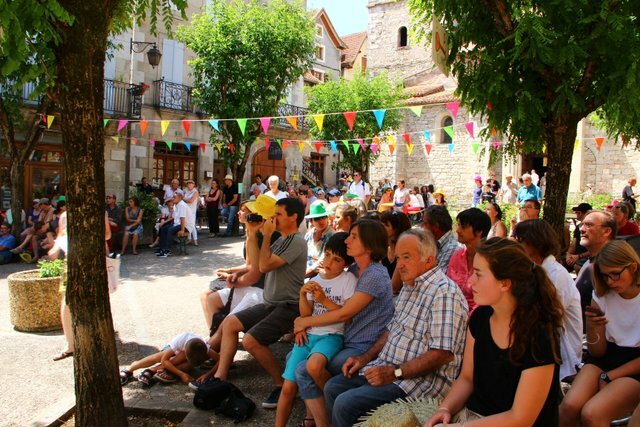 The summer solstice is celebrated all across France with music. Big cities, small towns and tiny villages...all host music festivals. 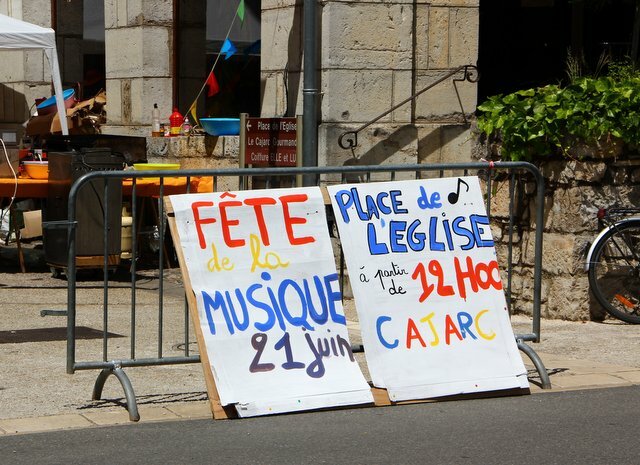 This year Cajarc held a really big event. 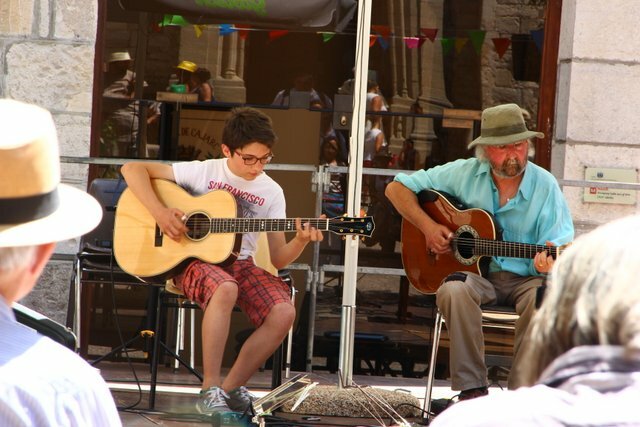 There was non-stop music in three different venues in and around the church. Over 30 groups...singers and musicians...performed throughout the afternoon. The Cajarc brass band marched 'round the town entertaining folks enjoying a cool beverage outside at the PMU, Le President, and La Pause. When we arrived, there was a small rock band playing in front of the Mairie, a pair of guitarists entertaining the audience with some great Django Rinehardt jazz in the square in front of the church, while inside a group of strings was playing classical music.